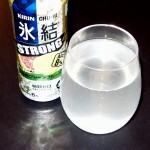 Review: Kirin Chu-Hi Grapefruit STRONG | Oyatsu Break! When you arrive at Narita airport, you’re actually about two hours away from actually being IN Tokyo, and that’s if everything goes according to plan. Going through somewhat scary customs, claiming your baggage, having it searched, navigating the airport and your transportation into the city, it all takes like 30 minutes to an hour. When you’re finally on the train you know you’re 60 minutes away from the lights and sounds and everything you love about Tokyo. And then a woman pushes a cart down the aisle of the train and she’s got beer and sandwiches and Chu-Hi. And you buy a Chu-Hi from her, and a fried pork and mayonnaise sandwich. And you watch farmer’s fields and pachinko parolours whizz by out the window and you drink your drink and you eat your sandwich, and you know you’re in Japan. And as mentioned yesterday, thanks to my friend Becca for hooking these up. 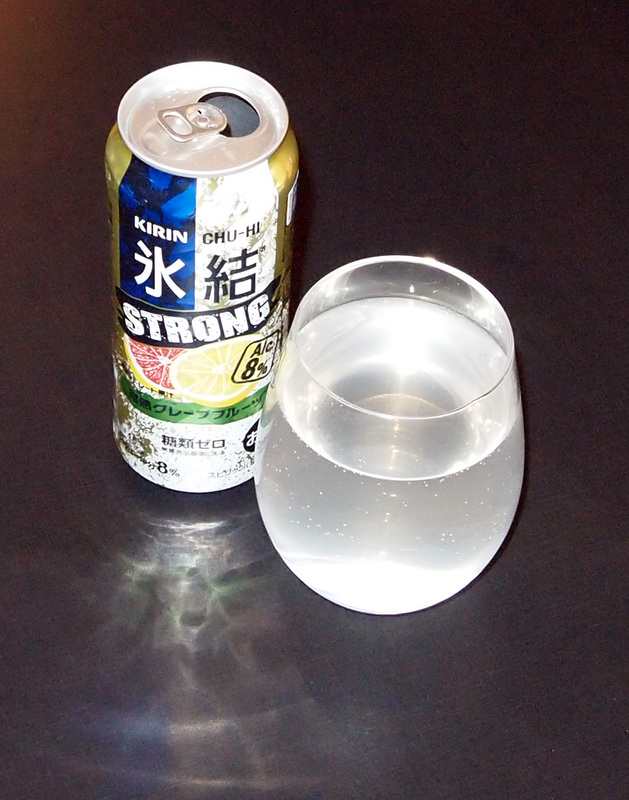 Packaging: Virtually identical to the Lemon Chu-Hi can, but the interior of the fruit is pink instead of yellow. I still really like that diamond/triangle can pattern. Smell: Smells like GRAPEFRUIT. WOW. Much more fragrant than the Lemon Chu-Hi. Andrew thinks it smells like fake grapefruit. I think it has a really lovely smell, very appetizing. Doesn’t smell boozy at all, surprisingly, but it does smell really intense in the can and I think a big part of that is can. While the absolute experience of drinking a chu-hi is straight out of the can, usually on the street in between where you bought it and where you’re going, I gotta say it smells a lot nicer in a glass. Taste: That goes extra for the taste. Andrew says it tastes artificially sweet, too aspartamey. 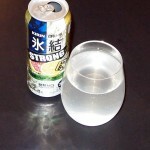 I never thought that previously but I can sort of taste it once you get it away from the can. It does taste very strong though, unsurprisingly given the cheap shochu used to produce these beverages. 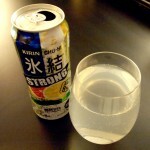 As compared to the Lemon Chu-Hi, it does have a more artificial taste, but it’s actually less aggressive… just more grapefruit. So your mileage may vary. Verdict: This is great! I mean, yeah, I prefer Lemon (while surprisingly Andrew has become more a fan of grapefruit as the years have gone by), but there’s certainly something to be said for the fruity, fragrant, burning flavour of this beverage. It’s a staple of all of my visits to Japan, and I highly… I mean STRONGly… recommend it. Hi.. I would love to surprise someone with a shipment of this delight.. Does anyone know where I can purchase it in the states or how i can order it for shipment?